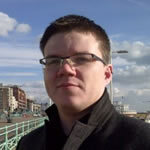 Glen Noble is Senior Portfolio Manager at the ESRC for Urban Transformations and project team member for the RCUK-IUK Urban Living Partnership. Everywhere you look cities are on the agenda. Politically and economically we have major debates about the ‘Northern Powerhouse’, the smart city, devolution and new infrastructure projects. Indeed, there are so many new initiatives that it can be a hard time just keeping up with them all. It is my role to do just that and in the past 18 months the ESRC has committed to spending more than £13 million in new urban social research. This has included new calls in partnership with Brazil, China and South Africa and our own national call for Urban Transformations research. We also participate in the Joint Programming Initiative for Urban Europe and recently launched a new website for urban social science. 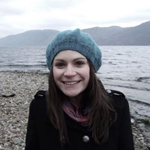 Jennifer Thomson is an ESRC (1+3) PhD student at the University of Edinburgh. She is based in the Centre for Research on Environment, Society and Health (CRESH). Jennifer’s research examines the links between woodlands, health and health inequalities. For her MSc dissertation she explored the use of woodlands in urban areas of Scotland. We at CRESH are continuing to explore the ways in which public green spaces – such as woods and parks – are good for our mental and physical health. Our previous work has shown that those living near green space tend to have better health and less likely to die from heart or lung disease than those living in more built up areas. We’ve also found that green spaces may have a role in reducing the health gap between richer and poorer neighbourhoods. Other researchers have emphasised the health-promoting qualities of woodlands in particular, and how they may be important places for reducing stress and increasing physical activity among those living in towns and cities where access to nature is often limited. The way we live now? 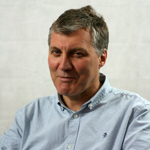 Professor Michael Keith is the Urban Transformations Portfolio Coordinator, Director of COMPAS and Co-Director of the University of Oxford Future of Cities programme.